RT continues its look at martial arts around the world, this time at Sambo, a sport which was developed exclusively for Russia's military and police force in the 1930s but is now looking to be accepted by the Olympics. There are over sixty national Sambo federations around the world. Since its inception in Russia in 1938, the sport has conquered not only European but also North and South American, Asian and African countries. 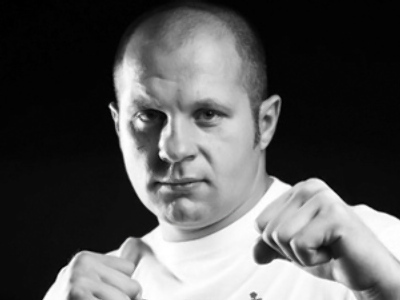 The first federation was made famous by Fedor Emelianenko who holds multiple world titles and remains unbeaten in mixed martial arts tournaments, of which the Sambo Super Cup competition in Moscow is considered one of the globe's most prestigious tournaments. Sambo is split into two styles: combat and sport. While the combat style is no-holds-barred and has almost no chance of making it to the Olympic family, its sister ‘sport’ style is vying to become an Olympic event. The grappling style is similar to judo in its techniques and code of behavior, and plenty of Russian Sambo fighters have already successfully taken part in several Olympic Games. Currently, the athletes are limited to world and European tournaments, but in their eyes the Olympic dream could soon become a reality. “The competition among the sports that are trying to become Olympic events is huge these days. Of course, we hope that Sambo will eventually make it, but the development of this sport in Russia and beyond keeps growing. There are 63 officially registered national federations in the world so our time should come soon,” says Sergey Baidakov, president of the Moscow Federation of Sambo.